It is really interesting when you find some alternative ways of use for old materials present in your home. 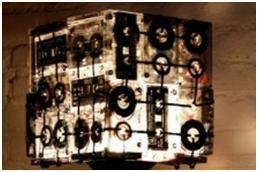 Many creative minds have manufactured the famous products based on recycled materials which were looking of no use. Recycled Market allows sellers to promote their wares to buyers who are interested in purchasing recycled items and you’d be amazed at the range of things on sale. From things for the home made of recycled or reclaimed rubbish to eco bags made out of old fish feed sacks and crafted in Cambodia, you can find a plethora of things to buy and some of these items would make fantastic ethical gifts too. Recycled materials have great tendency to develop effective products for us, along with low cost incurred to recycle and reuse the scarp material. Whether these are machine cut or hand cut, but we have to admire the beauty of finished product. 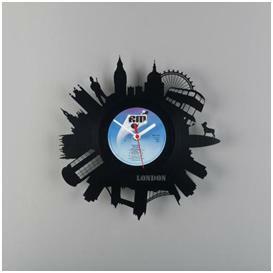 Made out of genuine old vinyl records (of which there are no doubt millions lying around peoples’ homes), I would quite happily put one of these clocks up on my wall at home and while there are many designs available, I did of course chose the London skyline as my pick of the bunch. I really like the mechanical look of these cufflinks that have utilized the beautifully crafted movements from old watches. Breathing life into such components not only saves them from landfill but also lowers the need for mining new metals from the Earth. These would grace any dinner party or black tie event with ease and certainly make for interesting conversation starters. 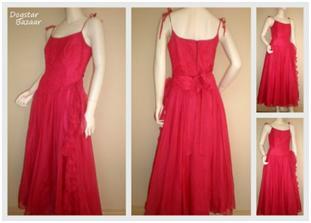 I’m no expert when it comes to women’s fashion but I am a big fan of reusing vintage clothing in the modern day. When you look at the time, effort and raw materials that some of these pieces of clothing required in their making, it only seems right that they get used again and again. The dress I’ve picked could have quite easily have ended up in landfill or been used for rags but instead it is here ready to be enjoyed by a new owner and that ticks a lot of green boxes in my opinion.